Get great results. Does not matter what size your job is. They get it done. Your ceilings and walls repaired quick. Qualified and pretty friendly work staff. Free job quotes. Trustworthy and cost-effective. Your job gets done right. Got a sheetrocking assignment you’re working on? Or maybe you see a few spots where your ceiling or walls are damaged and you would like them repaired. This company basically puts up and repairs sheetrock walls and ceilings. If you have a room that needs fixing, they can do that. But they also work on new construction too. Restoration assignments might include patching holes or removing and exchanging damaged parts of sheetrock. And they work on residential, industrial and commercial properties all around Orange County. 1. Bring the gypsum drywall sheets to the work location. 2. Install the sheets to the walls. 3. Clear up and remove trash and extra material. 4. Tape the joint seams and put on joint compound to each joint area and screw head. 5. Smooth, finish, carefully sand and texture the surfaces. Once these five actions are completed, your new surfaces will be ready to be painted. It is your choice as to how many of those steps they do for you. Most homeowners simply have them do all five, but they could just do one or two if you like. As an example, if you would prefer to do all the work, but you have no way to get the big drywall sheets to your location, you could have them deliver it to you. Some homeowners have rooms where the sheetrock is already up on the walls and ceiling, they want someone who can complete the process. There are other products apart from standard drywall. They use stronger cement board on walls where you want to place tile; and they have particular moisture resistant boards for shower and bath rooms. Sometimes a hole shows up in a wall or ceiling. Sometimes a kitchen drain pipe leaks. Sheetrock can get damaged in a variety of ways. If the holes or dents in your walls or ceiling are small, you might want to try to fix them by yourself first. Small holes or dents are treated with a flexible patch and drywall joint compound kit. A patch repair often ends up being trickier than it appears. Most folks can’t get the patch to blend in flawlessly with the rest of the wall or ceiling. Unless you are pretty good at undertaking sheetrock repairs, we suggest you hire a qualified person to take on complicated repairs or patch repairs that are in the main front spaces of your home. One of the tricky aspects of this procedure can be to coordinate the texture of the latest materials so that it appears similar to the existing material. Mending a few bad sheets so some areas or rooms can get painted. Getting rid of and replacing sheets of sheetrock damaged by water or something else. Doing the elimination and replacement of a big area. Sometimes because of a water problem or other serious event. Whatever size your restoration mission is, they are interested in helping. There might be a choice concerning the look and feel of your new walls. Simply unfinished surface – only taped, for non-finished work or storage areas or garage areas. Smooth finish – no added texture, ready for painting or wallpaper. Simple texture – gives a little extra depth. Greater texture – hand-troweled and more challenging to do. Texture match – your replacement wall surfaces match with your old ones. Is there that popcorn texture on your ceiling? If you want to do away with your current ceiling surfaces, they can do it. They’ll replace it with a surface which is more current. 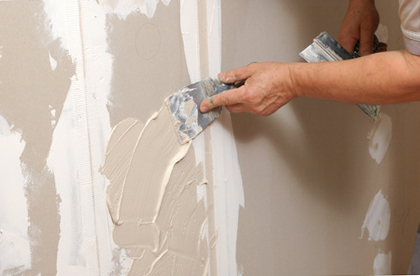 They are one of the best local OC full-service drywall companies. Their intention is to supply homeowners economical and great quality interior renovation work. 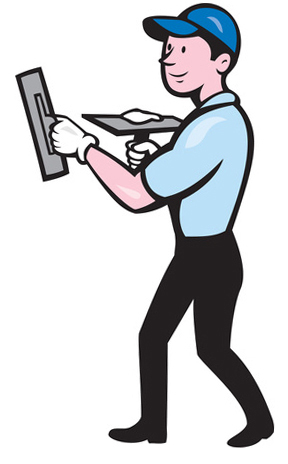 They use only high-quality products, safety gear and tools to get your job completed safely and quickly. Property maintenance will generate a mess. They are always considerate of your furniture and property. They try to hold the dust to a minimum. This work crews bag up and haul away the rubbish your project produced. All excess material you don’t want to keep is taken too. Most of their work is completed in individual houses, but they also work with business and multi-family buildings too. They realize there are other companies which furnish wall and ceiling services. But they hope you’ll consider them. While repair situations can be similar to one another, most are relatively unique. It isn’t always possible to look at potential project site and provide an estimate in person, but they can generally provide a decent quote over the phone if you would call. What About All the Painting? In case you don’t want to do all your own painting, they can start right away and get the painting undertaken as soon as possible. If you do not want them to do it, you can use a different painting contractor or simply prime and paint it yourself. They are okay with whatever you decide to do. You can often find them working around the central part of the city in areas near downtown, business district, Alton Parkway, Main Street and the airport. Projects are also completed in the suburbs as well – Oak Creek, Walnut Village & Northwood, El Camino Real, East Irvine, Orchard Hills and Peters Canyon, OC Park and Southeast Irvine, Quail Hill, Turtle Rock, University Park, UC-Irvine district, Westpark and Woodbridge. If you are in the central part of the city such as downtown, the business complex, Alton Parkway, Main Street, the JW airport or any of the suburbs – just call.